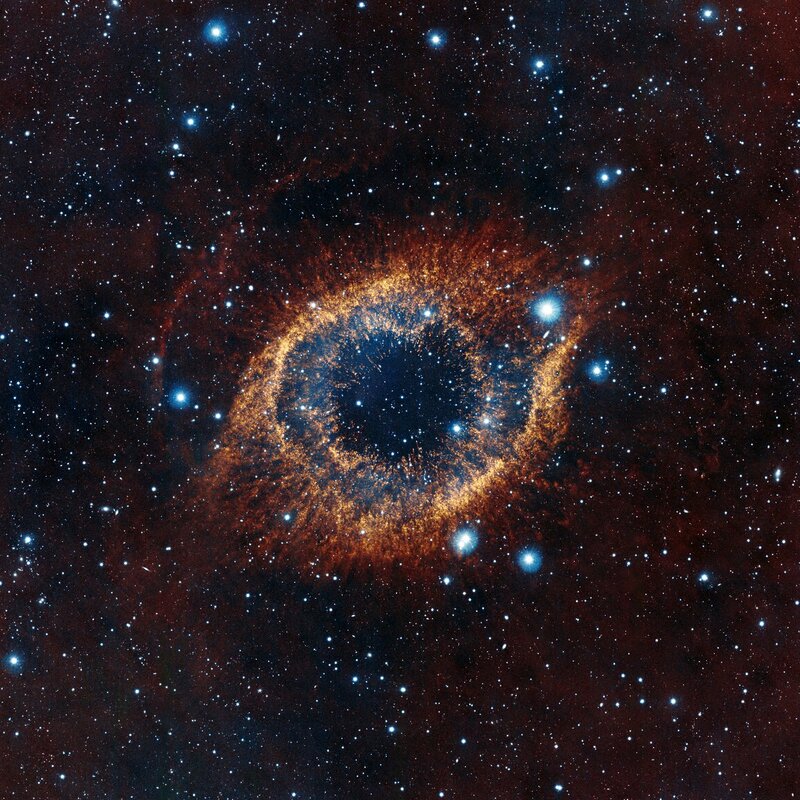 This infrared image of the Helix Nebula gives us an indication of the distant future of our Sun. It will eject its outer layers into space, creating a planetary nebula. By that time the inner planets of the Solar System will have been already engulfed by the expanding Sun.